In this post, you’re going to learn exactly how to get drive more traffic to your blog. And I have repeated this process several times with other blogs to successfully get traffic. 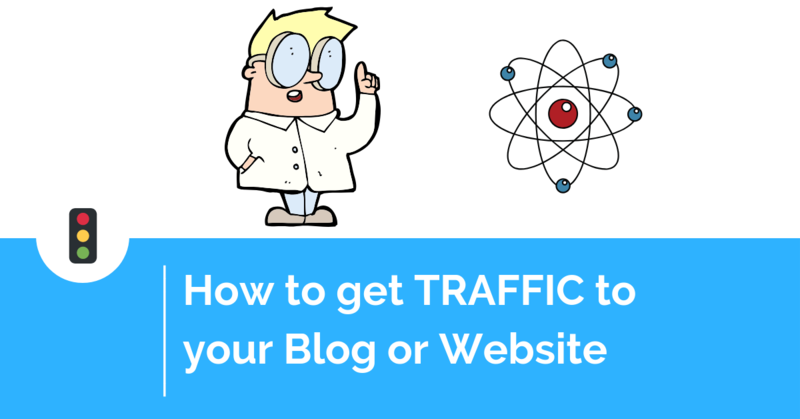 So in this post, I’m going to show you 2 ways to get traffic to your blog, including some ADVANCED traffic techniques that you might have never heard of. The Tribal Traffic method helps you get FREE traffic and it works in ANY niche. What is this traffic source? It’s a social media network called Pinterest. 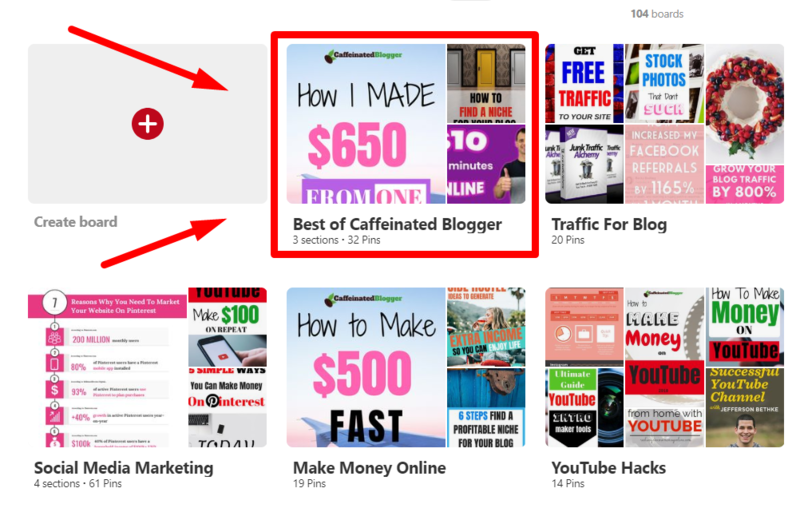 Pinterest is a GOLDMINE for free, targeted, buying traffic. However, it’s extremely important to use Pinterest in a VERY specific way to get results, and you will learn it in the next few minutes as you’re reading this post. First of all, it’s very important to understand that Pinterest traffic is very high quality. According to the insights published by Shopify, average order value of sales coming from Pinterest is $50 – higher than any other major social platform. And 93% of Pinterest users use the platform to plan purchases. 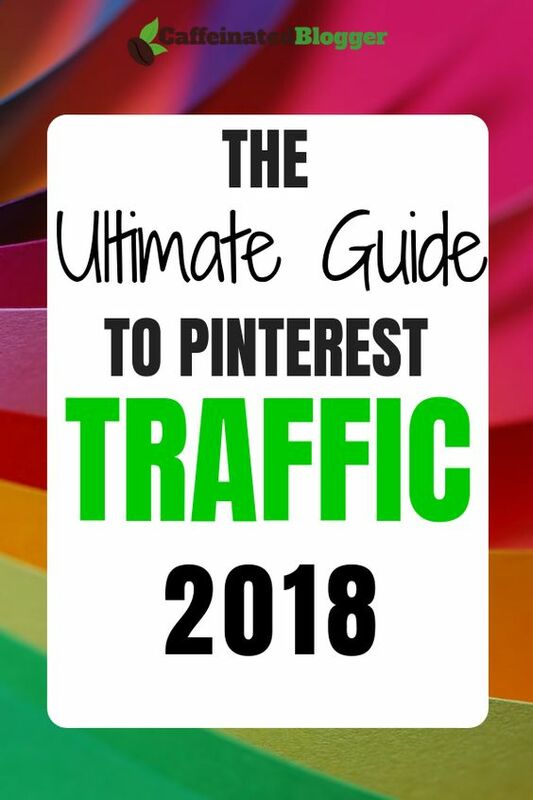 So that means that Pinterest traffic is high quality, with a high buying intent, and is definitely the type of traffic that you will want to get to your blog. 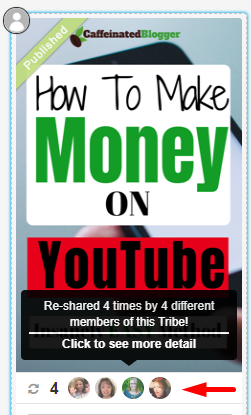 Now I am going to show you how to use Pinterest in a very unique way, using something called Tailwind Tribes (this is a software tool that has a free pricing tier which is enough to get started, you don’t even need a credit card for the free trial). Tailwind Tribes solves a massive issue for everyone who wants to get traffic using Pinterest. If you have already tried social media or even Pinterest and failed… I know how you feel. When I first started out, my social media results, well, sucked. I posted great posts on my blog, then created excellent posts on Pinterest, Twitter and Facebook, shared my content and… nothing. Silence. No shares and no traffic. Nobody was finding my content. And nobody was sharing it. So I was getting just tiny amounts of traffic to my blog from all my social media efforts. Why don’t we just agree to share each other’s content on a consistent basis? Well – turns out there is something like this out there already! That’s exactly what Tailwind Tribes does. So how does Tailwind Tribes work exactly? A Tribe is a group of people who are all in the same niche, for example a group of bloggers in the health niche, or dating niche, or internet marketing niche. They all agree to share each other’s content on their Pinterest account. And this sharing is done via this tool called Tailwind. Let’s break down exactly how you can get traffic to your website using Tailwind Tribes. Just go to business.pinterest.com and open your account. Done! Your profile is created. Now we need to make your profile look complete and active. Go through and fill out all the details in your profile, such as your blog URL etc. Then, you will need to “beef it up” a bit. Here is exactly how you can do that. First, create 10-20 boards with subtopics inside your niche. If your niche is guitars, then you can name your boards “acoustic guitars”, “electric guitars”, “second hand guitars”, “vintage guitars” and so on. Now pin 10-20 pins to each of those boards. To find the pins for the “acoustic guitars” board, type in acoustic guitars into the Pinterest search bar. Find some pin images that look good and click the “Save” button on those images, then save them to the Acoustic Guitars board that you created earlier. Repeat this, and save 10-20 pin images into each of your boards. Now you profile will no longer look empty, and you can move on to the next step. Next, it’s time to create pins for your content. Go through each post on your website that you’d like to get traffic to from Pinterest. Create a Pinterest-sized image for it. Vertical images that are 1000 pixels wide by 1500 pixels tall work great. 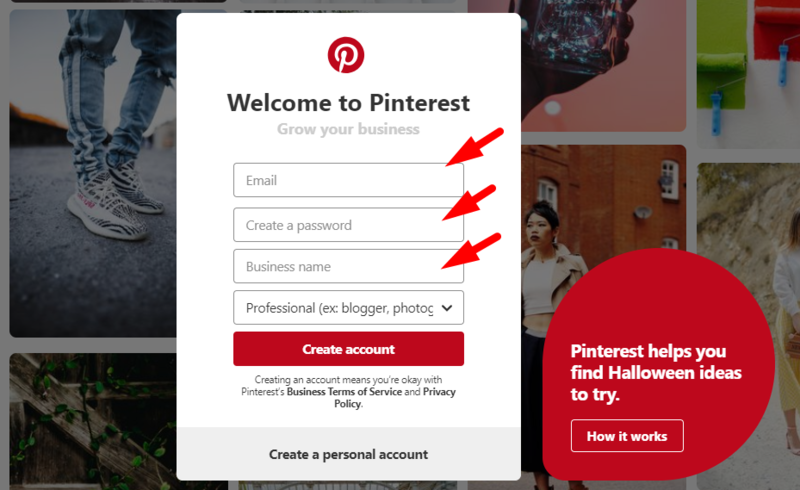 Then create a Pin on Pinterest for each of your website posts. Click the “+” sign, upload the vertical image, enter a keyword-rich description, and enter the link to the individual post URL. This is where you’d like the traffic to go to when someone discovers your pin image on Pinterest and clicks on it. Take every post on your site where you’d like to get the traffic, and repeat the process, creating pin images and linking each pin to each post. Then you will need to arrange all of the Pins that link to your own posts into a separate board. Ok, you’re ready to start getting traffic to your website, so it’s time to start using Tailwind Tribes. This Free Trial does not have a time limit and will allow you to publish 100 pins which is more than enough to get started. Then, click on the Tribes feature, and select “Find a tribe”. From here, you can search for the Tribes in your niche. From there, all you have to do is request to join that Tribe. Some have instance acceptance, and with others, you might need to wait to get accepted. Once you’re accepted, you will be able to nominate which of your content you want others to Share. 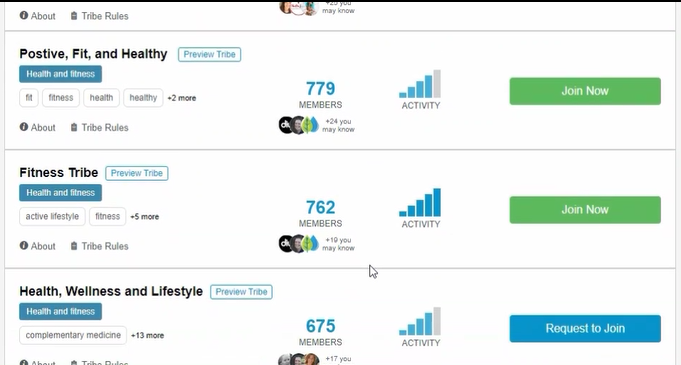 And you will be able to start sharing the content from other tribe members. Generally, the more content from others you share, the more likely it will be that your own content will get shared, since Tailwind keeps track of all these numbers. So what does a good Tailwind Strategy look like? Most people agree that you need to pin approximately 30-50 times a day. You can schedule all of your Pins via Tailwind for days or weeks in advance. Ideally, you want to pin approximately 50% your own pins and 50% the pins from other Tribe members. That will ensure that you are scoring a lot of “loyalty points” in the Tribe that you’re part of, and you will get a lot of pins back from the members of the Tribe. As you pin others' content, your own content will get suggested to more members of the trive, so generally if you DON'T pin other people's pins, yours also won't get pinned. How exactly do you get the traffic? Just to be 100% crystal-clear: the traffic will come from people clicking on your pin. Here's an example: let's say you have a blog post to which you'd like to get traffic. And that blog post is "7 ways to lose weight while eating doughnuts". 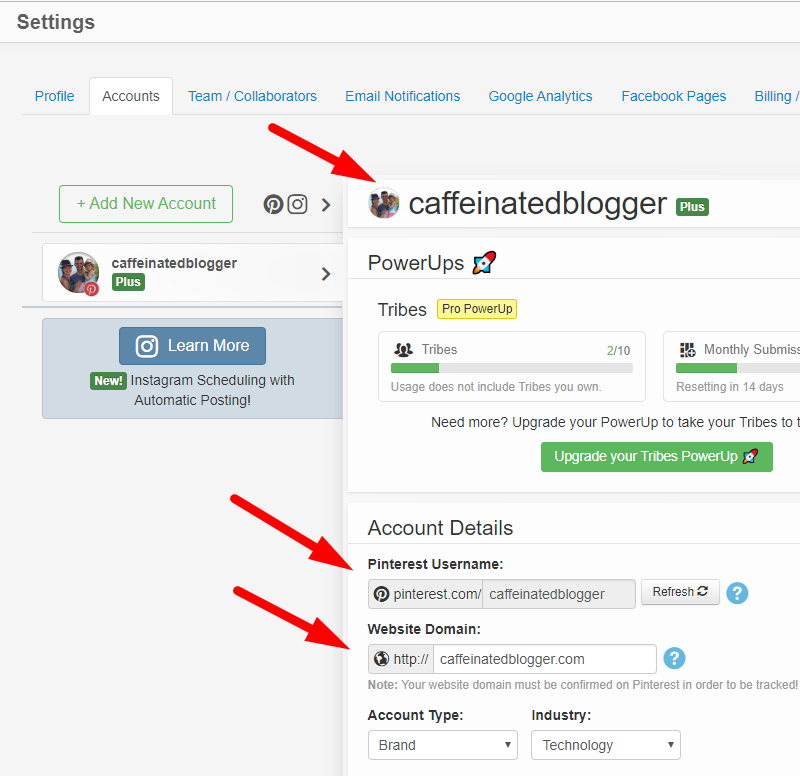 So then you can create a pin on Pinterest with that same title, insert the URL to your blog post into that pin, and "nominate" that pin for shares by others inside the Tailwind Tribe. Secondly, your pin gets more "authority" as it gets shared, and will be more likely to come up on Pinterest for various search terms like "ways to lose weight" as well as recommended as "related content" when people are browsing other pins. Alright, so this was Strategy #1 - Tribal Traffic. The Reverse Pitch method will help you get traffic by increasing your search engine rankings. Google Search traffic is free, and can be very targeted and profitable. The Reverse Pitch method will help you improve the results from your efforts to get traffic from Google Search. You already know that having backlinks to your content is very important to your search engine rankings. When Backlinko.com analyzed the most relevant ranking factors, they found the the #1 factor is the number of links pointing to a page. So a page from a weaker domain with more links pointing to it can outrank a page from a stronger domain with fewer links pointing to it. This means you need to focus on building white-hat backlinks to your content, usually “Pitching” the content to other sites. In this “Normal Pitch” process, when you send outreach messages, it’s always really hard to get a response. It’s not uncommon to send out 100 high-quality messages and not hear back from anyone. Here is how the “Reverse Pitch Process” works and why it’s much better than the “Normal Ptich” process. We basically flip the whole process. The keywords need to be selected so that you have a reasonably good chance to actually rank for them. A free way to do that would be to use a tool such as KWFinder.com to generate a list of keywords. KWFinder has a free pricing tier which is enough to get started. 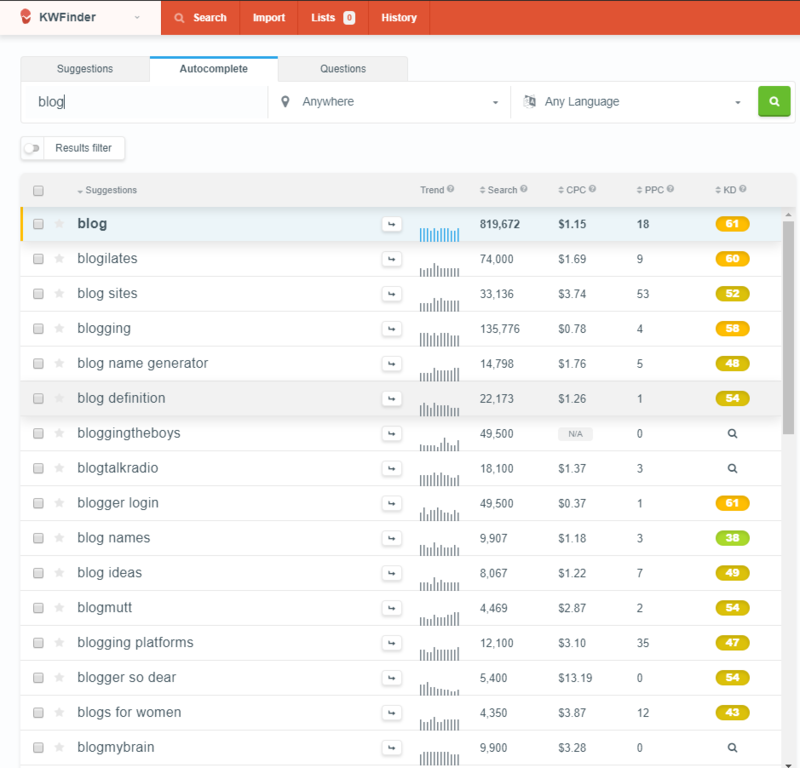 If you type in a seed keyword such as “blog”, KWFinder will bring up a list of results along with the anticipated difficulty of how hard it will be to rank for this keyword. With the Reverse Pitch method, we will do the pitch BEFORE we create the content. Going with the previous example, let’s say we want to create a blog post about “blog names”, something like “15 Ways To Come Up With a Blog Name”. With the Reverse Pitch process, we want to pitch our content and try to get backlinks BEFORE we actually create the content. You will contact the other websites or blogs and ask them to contribute to the content. And while you’re doing it, you can “plant” the idea of linking to that content later, once it’s finished. In my experience, this strategy works great, because you will offer something back to them, something of great value. First, you need to identify good targets for your Reverse Pitch. To do that, we need to create a list of sites that we’ll ask to be contributors to our post. I find that around 30 sites is a good guideline. To find these sites, you can use a free tool such as Moz Toolbar. (Alternatively, simply google Moz Toolbar, and install it). Next, head over to Google and type in a query that does not directly compete with the topic of the post you’re going to create. After logging in, repeat the search query. TIP: I recommend targeting sites which have Domain Authority similar to yours, slightly above or slightly below. Contact them, and ask them if they’d like to be featured in your round-up post by submitting a piece of advice or input. Importantly, you want to tell them that you will link to them and give them full credit to the contribution. I was wondering if we can feature you in one of our upcoming blog posts? I run a blog over at CaffeinatedBlogger.com and we’re now working on an article to show [insert topic here]. I know you are quite experienced with [xyz] so I wanted to see if you’d be interested in being featured in this upcoming blog post. 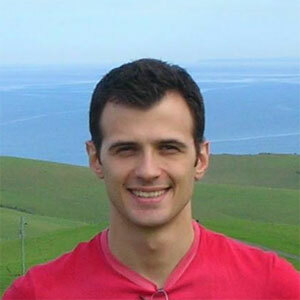 If you are interested, could you please share your best tip for [xyz]. Ideally, it would be amazing if your tip is as specific as possible, with any examples, links to any resources, any stats if relevant, etc. Our aim is to provide our readers with high quality, actionable and unique tips and ideas. Any tip you share, we’ll include it in our post with credit and a do-follow link to your site. We’ll send you the post URL once it’s published, all we ask is that you consider linking to it from somewhere on your site (for example in an "I've been featured in" section or elsewhere). If you’re interested, please just shoot me an email back with your #1 tip by [date] and I’ll make sure your input gets included in the post. Looking forward to speaking to you soon." Notice that we’re offering them something of value - a link to their website. All website owners are looking for more backlinks. So chances are that they will be really happy to hear from you. Also notice that we’re carefully suggesting that perhaps they consider linking to our article once it’s finished, without being too pushy about it. This is a true win-win. And your response rate will be much higher than with the “Regular Pitch” method, where you try to get the people to link to your content AFTER you publish your own content. After you get your responses back, create an excellent article. It’s important to make sure it’s insanely high quality. It should be pretty easy, because you will have some real tips from some real people, along with some stats. This type of content is not just theoretical so it will carry a high amount of value. Simply contact all contributors, thank them, and send them the finished post link along with a polite suggestion that they consider linking to it. There it is, two of my favorite ways that you can instantly use to get traffic to your blog or website. That's it - hope you enjoyed the article! If you liked it, I would really appreciate it if you can share it using one of the social sharing icons below. Also, leave me a comment and let me know what you thought - I love talking to the readers, so hopefully will talk to you in the comments below. 13 replies to "How To Drive Traffic To Your Blog, FREE and FAST"
Thanks Greg for another very informative post. I have never heard of anyone using your second hack. It sounds like a great way to get quality traffic. Thanks so much! Hi Barb, thank you very much for your comment, great to hear that you enjoyed the post! Greg, you always bring great value in all your content and posts! That G in Greg is the G in Great! Hi Leon, thanks for your comment, and I’m happy to hear that you’re enjoying the content! Cheers. Hi, thanks! Not really, so far this theme seems fine. The reverse pitch is golden! I got dozens of pitches a week asking me to link to their content for no value in return, just because I have a high DA of 52. If I had a reverse pitch, I might actually go for it! I just want you to know that this article was very beneficial! I find that most articles on Pinterest are full of fluff and are only created to get views. Thank you so much for the REAL advice. You have helped me so much. You’re most welcome, thank you for reading! huge amounts of money, only for enjoying among their favorite games during that time period. ©2018 Caffeinated Blogger. All Rights Reserved.